When looking back through the archives at Manchester City, it is hard to find a year that replicates the rich successes that they achieved in 2018. 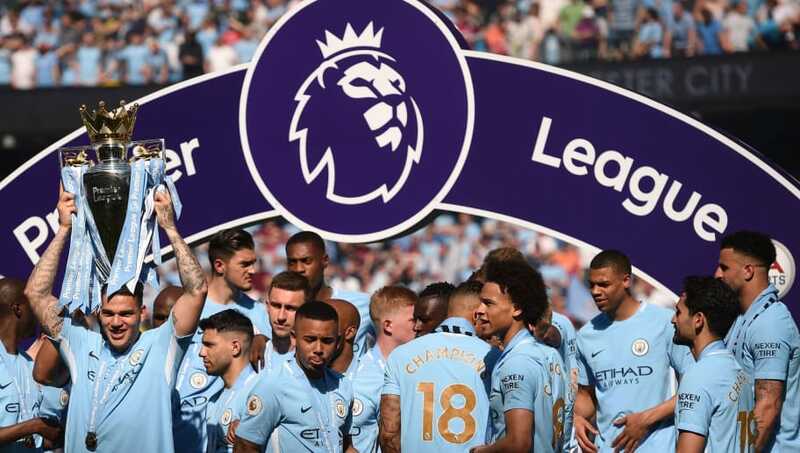 With Pep Guardiola at the helm, the Citizens have become an almost unstoppable force in the Premier League and set a number of outstanding all-time records as they steamrolled to the title last season. A club thriving both on and off the pitch, City have transformed from the so-called noisy neighbours to Manchester's top dogs in recent years, overtaking arch-rivals United who have yet to find the right successor for former manager Sir Alex Ferguson. As we head into 2019, here is a look back on the best moments from an unforgettable year for the club that saw them win three major honours. 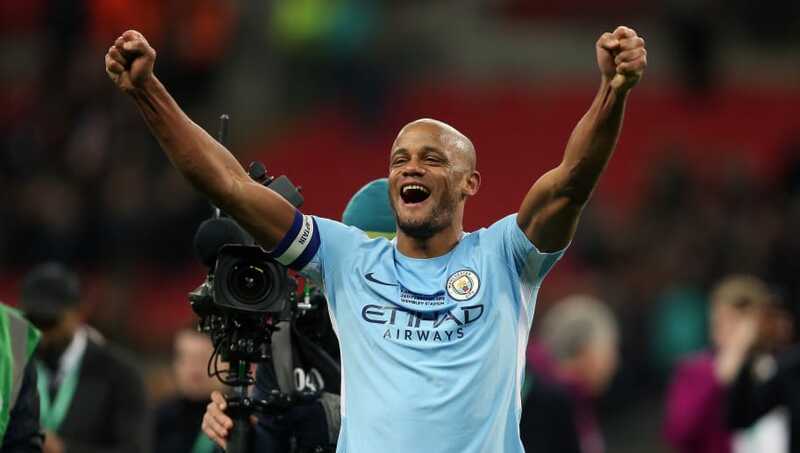 The most decorated footballer in modern times for Manchester City, Vincent Kompany has won nine major honours since joining from Hamburg in 2008 for £8.5m. During the early stage of his career at the Etihad, the Belgian defender quickly established himself as one of the Premier League's best centre-backs, winning the player of the season award in 2012. However, in recent years Kompany's career has been littered with injury problems, limiting the 32-year-old to sporadic appearances during the 2017/18 campaign. In February 2018, Guardiola rewarded his captain with a start in the League Cup Final against Arsenal following his recovery from a knock that he suffered during a league game in December. Kompany began the game in confident style, producing a crucial tackle to deny Pierre-Emerick Aubameyang from scoring what would have been an equaliser for the Gunners following Sergio Aguero's opener. In the second half, a dominant City forced a corner which was played by Kevin De Bruyne to Ilkay Gundogan whose shot looked to be going wide. Yet a diving Kompany diverted the ball into the back of net, sparking wild celebrations amongst both City players and fans at Wembley. Raheem Sterling has been in the intense spotlight of the media ever since joining City from Liverpool for £49m, receiving regular criticism for a lack of composure in front of goal. With many questioning whether the English winger would ever justify the fee that his club paid for him, Guardiola offered the player guidance on areas in which he could grow as a player. 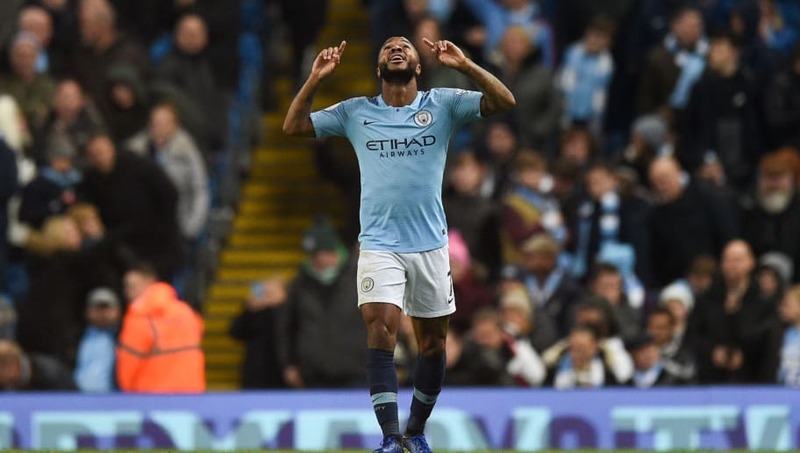 This advice has seen Sterling transform as a player over the past twelve months with the 24-year-old being arguably the best player in the Premier League this season, scoring nine goals and providing six assists in just fourteen games. 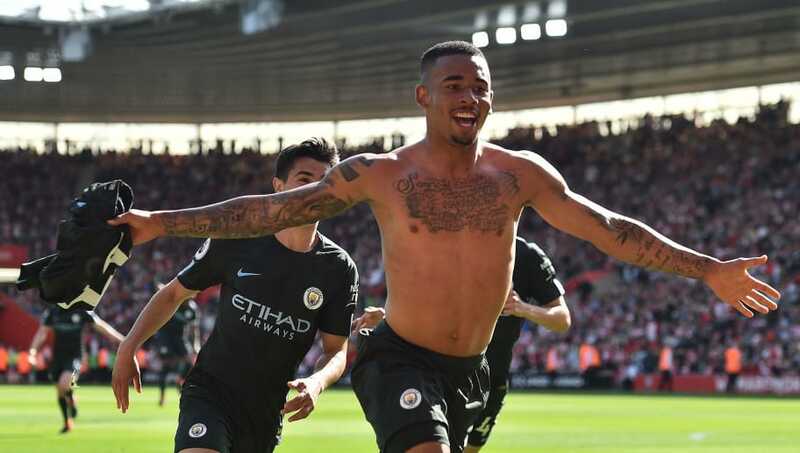 The Jamaican-born player's best performance of 2018 came in City's 6-1 mauling of Southampton in November as the winger scored twice and provided two assists, highlighting how much he has improved in the final third this season. Sterling replicated his sparkling display two weeks later for England when he scored a brace against Spain in a 3-2 victory in the UEFA Nations League in Seville. With 2019 just over the horizon, the future looks bright for the winger who will be looking to improve even more for both City and the Three Lions. With Manchester City handed the chance to win the Premier League against their arch-rivals Manchester United in April, a day that would have gone down in history as a defining moment for the Sky Blues went horribly wrong. First-half goals from Kompany and Ilkay Gundogan gave Guardiola's side a 2-0 lead before they missed a number of gilt-edged chances to finish the game off. United came out for the second half wounded and angry, constantly hitting their rivals on the counter attack through utilising their talisman Paul Pogba. The French midfielder struck twice in two minutes before Chris Smalling clinched a 3-2 victory his side with a thunderous volley. Despite City winning the title a week later, many supporters demanded revenge when the two sides met again in November. Once again, the blue half of Manchester dominated the game, taking a 2-0 lead thanks to goals from Aguero and David Silva, yet a penalty from Anthony Martial had supporters fearing that deja vu could be taking place at the Etihad. What happened next was simply incredible. A magnificent, jaw-dropping 44 pass move culminated in Bernardo Silva delivering an inch-perfect cross for Gundogan to tap-in a third goal for City which secured a deserved victory. To describe this as just a goal would be doing it a disservice, it was a period of play that embodied all that was great about Guardiola's City in 2018. 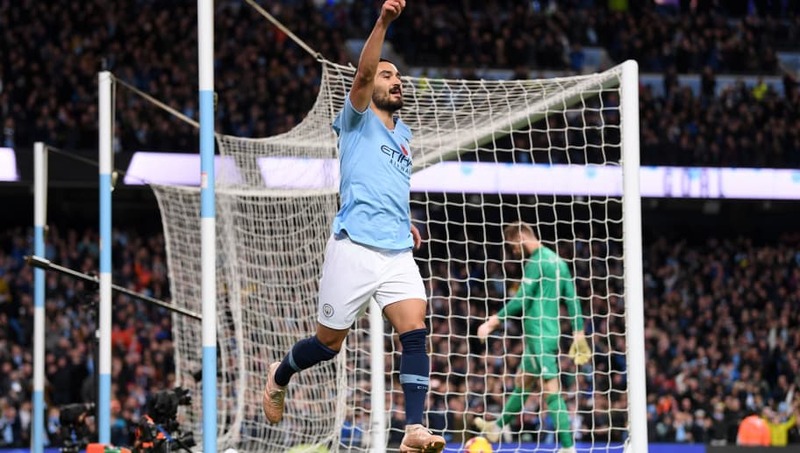 From the precise passing to the intricate dribbling, the move had it all and by providing the killer finish, Gundogan ensured that it was the Citizens who would have the last laugh in this year's Manchester derbies. Not many football supporters would have bet that Carlo Ancelotti's Chelsea's record of 103 goals in a Premier League season would last for just eight years. Well that was until the all-conquering Manchester City came along of course. Guardiola's side were rampant in attack throughout the whole of last season's campaign, scoring three goals or more on twenty-one occasions. The Citizens' relentlessness saw them put seven past Stoke City at the Etihad whilst the most they scored in a single game on their travels was six against Watford. With two games left to play, Chelsea's record was just two goals away from being broken and with Brighton at home, City took their chance to make history. Goals from Danilo and Bernardo Silva saw them equal and then surpass the Blues to a total of 104 for the campaign. The Manchester-based club would eventually reach 106 goals, a total that they are on course to beat this season. You would forgive any team that would maybe slow down after winning a league title with a handful of games to spare. Yet Manchester City didn't succumb to the feeling that the season was over once they triumphed as Premier League champions and instead pushed harder to break a number of records. The unbeaten season held by Arsenal's invincibles may have been crushed by Liverpool in January but one unprecedented record was still within reach when City visited Southampton on the south coast in May. In English football history, no club had ever won the first division with 100 points with the most ever recorded being Chelsea's 95 in 2005 under Jose Mourinho. City reached 97 points courtesy of their 3-1 victory over Brighton and knew that they could set a unique total if they were to beat the Saints. With Mark Hughes' side playing for a draw that would guarantee them safety in the Premier League for another season, the Citizens found it hard to create any clear-cut chances until the final minute of the game. A marvellous through ball by Kevin De Bruyne found an unmarked Gabriel Jesus who expertly chipped Southampton's keeper Alex McCarthy to secure all three points and set a final total of 100 points. The Saints stayed up due to other results going their way whilst City's victory was their 32nd of the season, which unsurprisingly is also another top-flight record. 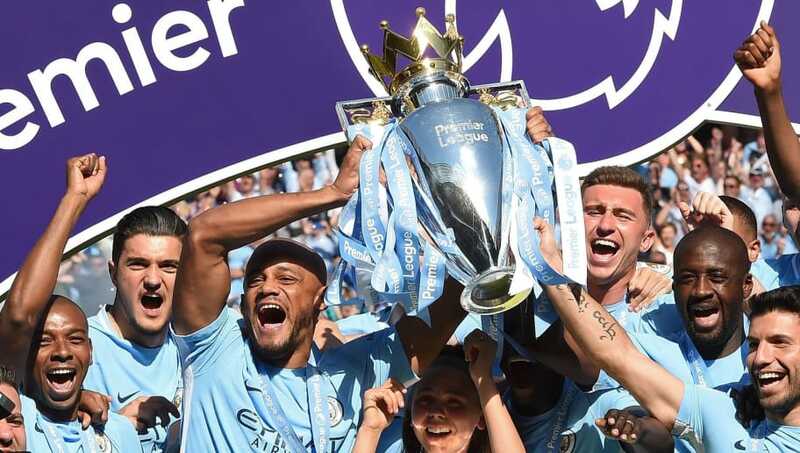 Manchester City had never won three major trophies in a year before 2018, so this year will be widely remembered as their most successful ever amongst their supporters. The club won their first honour of the season in February, comfortably beating Arsenal 3-0 at Wembley Stadium to win their fifth League Cup. Goals from the old guard of Silva, Aguero and Kompany secured Guardiola's first trophy in England, and he didn't have long to wait for his second. After beating Tottenham Hotspur 3-1 in April, City knew that if Manchester United were to slip up at Old Trafford to West Bromwich Albion they would win the title. A victory for the visiting Baggies was considered to be extremely unlikely considering that they were all but relegated from the Premier League and had just appointed a new caretaker manager in Darren Moore. Yet spurred on by their underdog status, West Brom took an unlikely second half lead against United through Jay Rodriguez and held on to win 1-0, a scoreline that handed City their fifth league title. At the start of the current campaign, City had the opportunity to claim an unprecedented third trophy in a calendar year when they faced Chelsea in the FA Community Shield at Wembley in August. Sergio Aguero scored his second goal in a major final in 2018 when he fired past Willy Caballero after receiving the ball from 18-year-old midfielder Phil Foden. The Argentine then expertly doubled City's lead in the second half, sealing a 2-0 victory and a fifth Community Shield. With the Citizens reaching the semi-finals of this year's League Cup following their penalty shoot-out victory over Leicester City, they could start 2019 in the same fashion as they did in 2018, with yet another trophy. Actively challenging Liverpool for the Premier League title and progressing nicely in Europe, it could very well turnout to be another highly successful campaign for Guardiola's men this season.